Hello chess blog friends, mark your calendars for 17‐21 July 2014, University Center, University of New Hampshire Manchester! 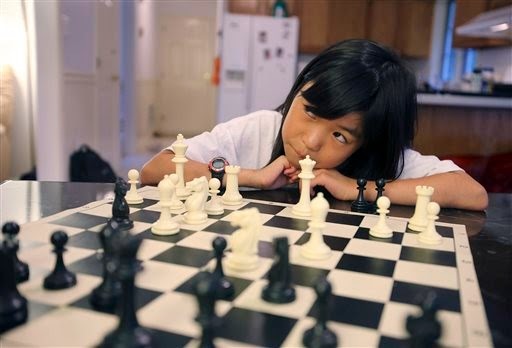 The University of New Hampshire at Manchester and Relyea Chess will host the first ever United States Girls Junior Closed Championship, July 17 through July 21. The US Girls Junior Closed Championship is a prestigious, nine‐round tournament that will have ten of the top‐rated girls (under age 20) in the United States. The winner will be recognized internationally as the US Girls Closed Champion by the United States Chess Federation, will receive a $2,000 cash prize and will be awarded a $10,000 scholarship to the University of New Hampshire. In 1966, the United States Chess Federation started the Boys Closed Championship, which provides the winner a seat into the US Championship. This year, F. Alex Relyea, FIDE arbiter and Associate National Tournament Director based in Bedford, NH, decided that an equally prestigious event for girls should exist. “There are some amazing young girls playing. We need to have the same prestigious titles for them that we have for boys.” He worked with the United States Federation to create and host the inaugural event in New Hampshire. Chess is increasingly valued for its incredible educational impact. Globally, chess is recognized for improving problem‐solving skills, teaching self‐discipline, cultivating visualization skills, rewarding determination and perseverance and increasing interest in STEM (science, technology, engineering and math) disciplines. The first girls vying for the US Girls Closed Champion title exemplify this analytical, quiet determine. Players include Maggie Feng, Apurva Virkud, Jennifer Yu, Akshita Gorti (ranked third highest girl under 12 worldwide), Becca Lampman, Claudia Munoz, Rochelle Ballatyne (appeared in 2012 documentary, Brooklyn Castle – highest ranked African American woman in the US), Carissa Yip (special wild‐card invitation as highest ranked girl in New England), Alice Dong, and Kimberly Ding. Relyea Chess is dedicated to bringing high quality, specialty chess tournaments to New England. For example, Relyea Chess hosted a first‐ever 26‐person round robin blitz tournament, directed the prestigious New England Open multiple times and organized a unique FIDE, invitational, round robin. Relyea Chess is a private organization affiliated with the United States Chess Federation.